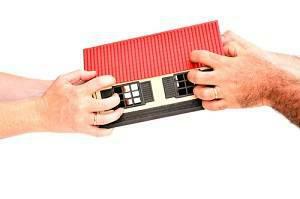 Family law matters touch many households, to one degree or another. Sometimes, unresolved conflict can simmer for months or even years before someone files a court case. Other times, sudden events may completely blindside a person. Whatever the circumstances in your particular situation, family law cases are a unique blend of legal and factual concerns not found in other areas of law, so you need an experienced attorney in these matters to protect your legal and financial interests as well as guide you regarding important decisions about your family's future. At Pesce Law Group, P.C., we provide zealous representation and solid advice. Attorney Don Pesce knows how to craft legal precedents and factual situations to your advantage, and, due to his meticulous nature, he takes the time to listen to you and understand how you define "victory" in a given situation. Whether winning means keeping your family together as much as possible, protecting your financial interests, or upholding important legal values, we are diligent in helping you achieve your goals. Maintenance (formerly known as Alimony): The laws regarding spousal support are constantly in motion, and our attorneys can configure a support package that meets the needs of both spouses. 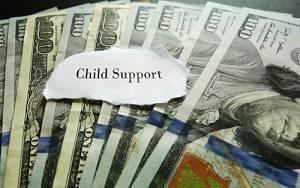 Child Support: Illinois has strict legal guidelines to determine an amount, but the judge does have some discretion in some circumstances. Child Custody: The court makes all these determinations based on the best interest of the child(ren). If a couple has a special needs child(ren) and other situations, such instances present their own set of objectives. Child Visitation / Parenting Time: It is important to have an attorney on your side that is not only an advocate for you, but for your child(ren). Our attorneys fight for your family in the courtroom on visitation issues so you can build a relationship with your child(ren). Special Needs Children and Divorce: Circumstances which involve children with special needs require additional care in relation to their health needs, education, and other issues which impact families in divorce. Contested and Uncontested Divorce: Although there is no such thing as a "simple" divorce, some matters can be placed on a somewhat expedited timetable. Complex Divorce: When divorce proceedings require discovery, as well as handling matters which involve the best interests of the child(ren) and equitable property division, they may become complex and require an experienced law firm which has handled matters of a similar nature. Property Valuation: The first step towards an equitable property distribution is a proper understanding of what an item is worth, both financially and emotionally. Our experienced lawyers provide guidance when issues involve retirement accounts, IRAs and QDROs; division of debt; division of marital assets; and dissipation of assets. Businesses and Divorce: As a business owner, your livelihood can be at stake when a divorce comes into play. Our attorneys provide business valuation in order to make a determination in property relating to your divorce. Post Decree Modifications: Although a divorce may be finalized, it is possible for issues to arise, such as college and medical expenses, which the former spouses may need a judge to oversee in a post decree modification. Enforcing the Divorce Decree / Contempt Proceedings (Pre and Post Decree): Compliance issues in divorce are an important part of the enforcement process. Without an experienced attorney on your side to enforce the divorce decree, it is merely ink on paper. Custodial Parent Removal / Relocation: Life happens, and sometimes a parent may choose to move out of state, which may involve relocating a child from a previous relationship. Our attorneys act as advocates for your position in this contentious matter. High Net Worth Divorce: An experienced attorney can protect your short and long-term financial interests in these situations. Hidden Assets / Asset Tracing (including Forensic Accounting): In divorce, it is possible for one party to attempt to hide assets in order to mislead the other side. Our experienced attorneys work with forensic accountants to uncover hidden assets, providing a clearer picture in property division matters. Protecting Investments and Assets: A couple going through a divorce may each have their own investments and assets accrued either before the marriage took place or during the marriage. Having an experienced attorney that recognizes assets which are important to you allows you some peace of mind as you determine how property may be equitably distributed. 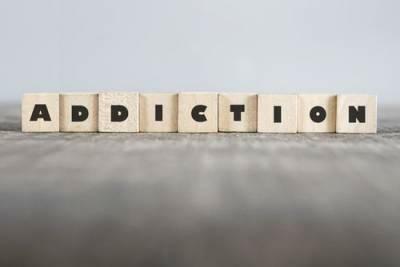 Divorce Involving Mental Health or Addiction Issues: An emotional issue to begin with, divorce may bring with it the uncovering of substance abuse or mental health issues which may or may not have been known prior to the filing. Inheritance Matters in Divorce: Stepfamilies can be a wonderful blessing, and they can also create inheritance issues that must be resolved. Our lawyers offer both litigation and non-litigation solutions in these areas. Whether you were never married at all or you are going back to court to modify a previous judgment or order, Pesce Law Group, P.C. is here to assist you. Paternity: This procedure is the only legal vehicle that can transform a father into a dad, both emotionally and financially. Domestic Violence: If you have been victimized by physical, emotional, or psychological abuse, there may be immediate relief available. Guardian ad Litem: Mr. Pesce is fully qualified to serve as a court-appointed Guardian ad Litem. In short, he protects kids. Marital Agreements: A pre-marital or post-marital agreement can eliminate potential sources of conflict and narrow the issues if there is a divorce. Mediation and Collaborative Law: It is possible to resolve family law and divorce matters outside of the courtroom. Our attorneys provide experienced mediation and collaborative law representation when you seek to settle issues without a judge's involvement. The experienced family law attorneys at Pesce Law Group, P.C. are available to advocate for you, inside and outside a courtroom. Contact us today at 630-352-2240 for a free consultation.